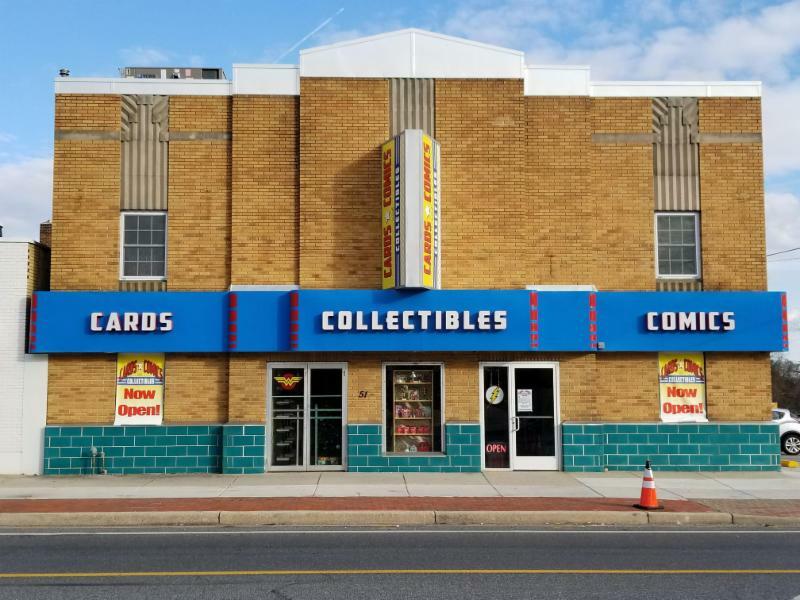 Come to the first annual Easter sale at the new large location of Cards, Comics & Collectibles for amazing savings of 20% to 80% all weekend! come to the first Easter sale at the new large location. Fill in those missing back issues or pick up that paperback, hardcover, or action figure you've been meaning to buy! This is the weekend to shrink that want list! 70% OFF: MODERN & BRONZE AGE BACK ISSUES, CARDS 1980-PRESENT! 50% OFF: PAPERBACKS & HARDCOVERS, CARDS PRE-1980, ACTION FIGURES, TOON TUMBLERS, AND MORE! 30% OFF: SHOWCASE AND PREMIUM BACK ISSUE ISLAND! 20% OFF: STORE EXCLUSIVE COVERS (in-store only! ), CARD PACKS & BOXES, NEW COMICS, "NEW THIS WEEK" ITEMS! 80% OFF: MODERN BACK ISSUE BINS!